According to Russian Defense Ministry spokesman Igor Konashenkov, Russian-made Pantsir-S1 air defense system deployed by the Syrian forces showed almost 100% effectiveness in repelling the Western missile strike. 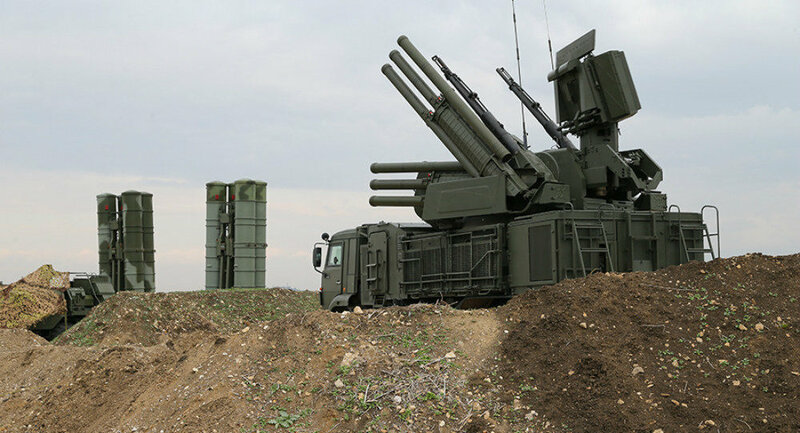 "In anti-aircraft combat, the Russian-made Pantsir S-1 system that had been previously supplied to the Syrian armed forces was actively used," he added. 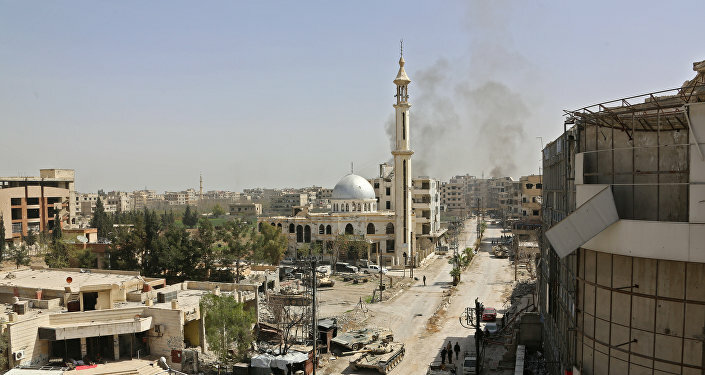 Konashenkov went on to say that the Syrian air defenses used 112 ground-to-air missiles to repel the attack that targeted not only facilities in Barza and Jaramana, but also military facilities, including airfields. Konashenkov further commented that the strikes had involved cruise missiles launched from the Red Sea, Mediterranean Sea, the Persian Gulf and the eastern Syrian city of al-Tanf. The attack targeted the facilities that were not bunkers protected by the Syrian air defenses, he pointed out, adding that those were facilities were built on the surface. He has reiterated that 71 missiles of those 100+ had been intercepted. The spokesman also denied the reports that S-200 air defense missile system had underperformed while repelling the attack, saying the system is designed to hit aircraft, in the course of fending off the strike. "However, not long ago, this system destroyed a fighter jet of one of the neighboring states, which tried to violate the Syrian airspace," he added. Konashenkov reiterated that Syrian air defense systems S-125, S-200, Buk, and Kvadrat took part in repelling the joint strike. On April 14, the United Kingdom, as well as the United States and France, launched several missiles at targets in Syria. The representatives of the US and France have praised the strikes as a success, with Presidents Trump and Macron saying that the missiles launched by the countries' militaries had reached their stated targets. The US Department of Defense spokesperson told Sputnik on Monday that the Syrian air defense systems were absolutely ineffective against the US and allied missiles fired at Syrian targets on Saturday, and Russia’s claims that Syria had shot down a number of missiles are completely false.